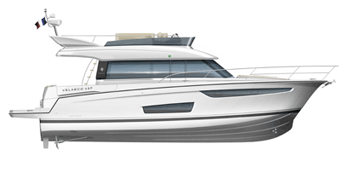 In the direct line of her 9- and 10-metre predecessors, the CAP CAMARAT 6.5 WA SERIE3 benefits from an excellent new hull designed by Michael Peters. Her powerful, solid design corresponds perfectly with the CAP CAMARAT line. This comfortable 6-metre model offers delightful family outings with her incredibly ergonomic design and spacious layout. Every detail has been considered for an inviting atmosphere and easy life on board. 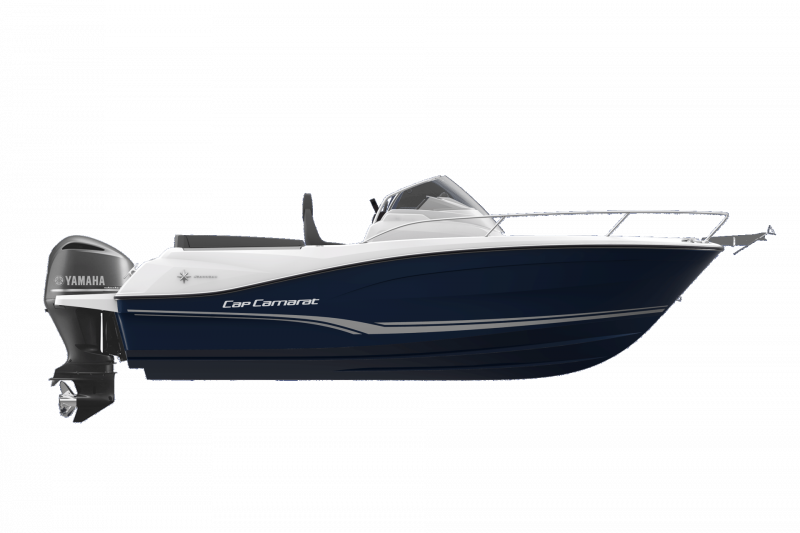 The CAP CAMARAT 6.5 WA SERIE3 demonstrates tremendous on-board capacities. Forward, the extremely large recessed sundeck is particularly secure. To the aft, the model features a large U-shaped cockpit that transforms into a sundeck! 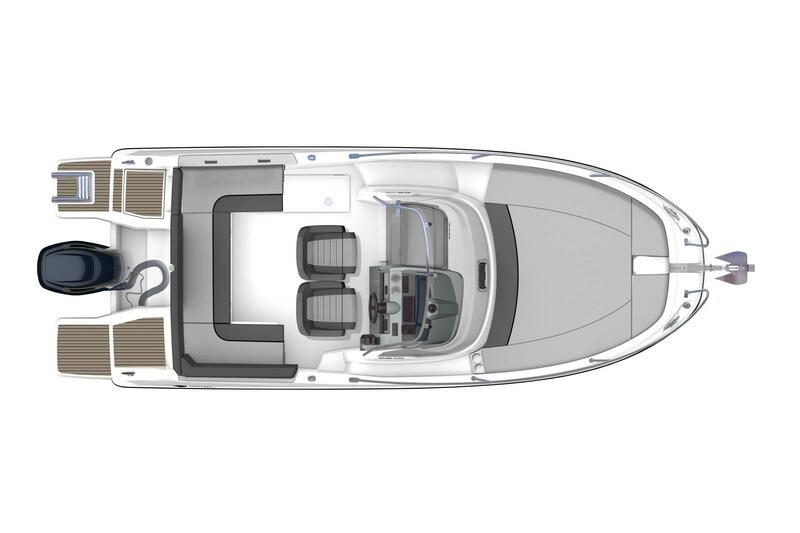 The long, flush aft swim platforms correspond with key features of the new generation. 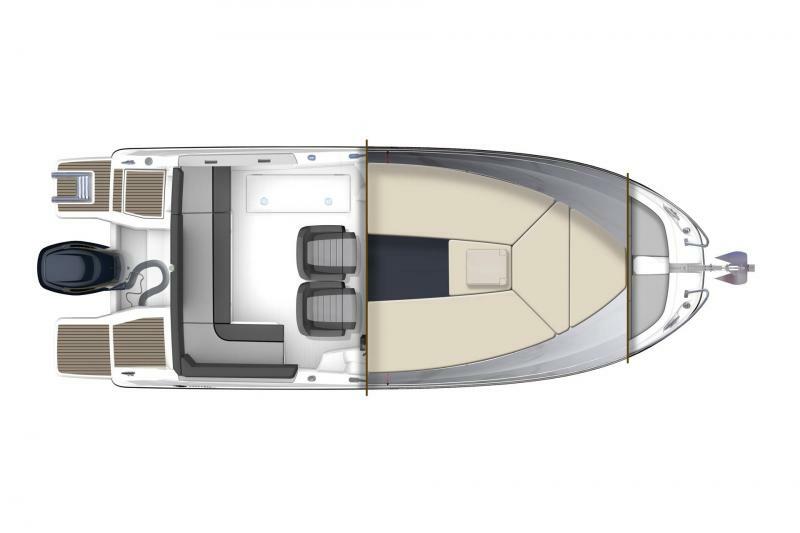 On the interior, the CAP CAMARAT 6.5 WA SERIE3 offers a magnificent, spacious cabin with double berth as well as a WC. 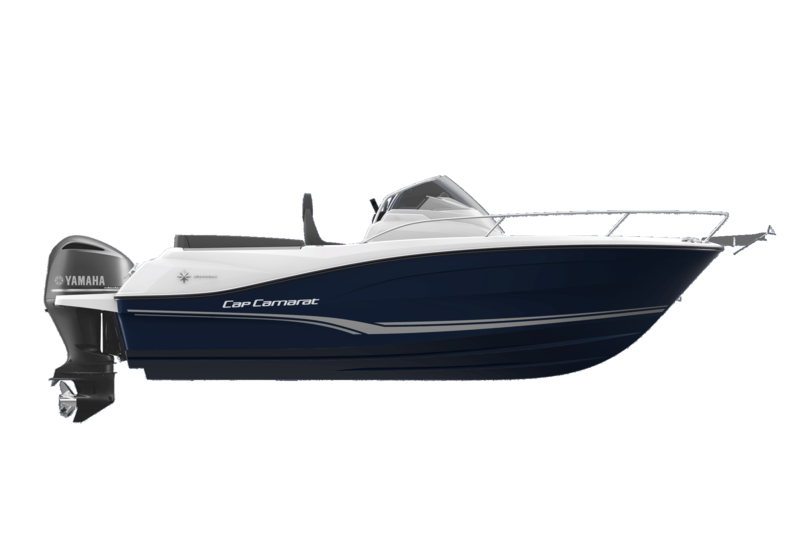 Chic, comfortable and versatile, the new Cap Camarat 6.5 WA SERIE3 is the ultimate family boat and is sure to become a reference in its class!